So much has been said about the current state of the family that there’s hardly anything new to add to the conversation. 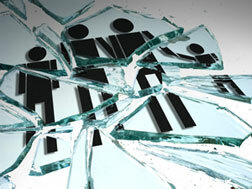 It is regularly reported that the family is under attack and is falling apart due to changes in our culture. However, the future need not be bleak for families that are seeking recovery from dysfunction. Those who embrace the healing that God offers often report that they “do not regret the past nor do they wish to shut the door on it.” This is because they have learned to find meaning in their struggle and allow it to be transformed into wisdom and a deepened capacity to experience the mystery, beauty and passion of God’s grace and the human condition. Families have interrelated elements and structures: The elements of the system are its family members. Each element or family member has it’s own set of characteristics. There are relationships between the elements that function in a relatively independent manner, and all of these create a structure. Families interact in patterns: There are predictable modes or patterns of interaction that emerge in a family system. These patterns help maintain a family’s equilibrium and provide clues to how one functions in this system. Families have boundaries that tend to be open or closed: They have ways if defining who is on the inside or on the outside of the system. Open boundary systems allow other elements to influence them and may even welcome external influences. A closed system isolates its members in a self-contained world. No family system is entirely one way or the other. The whole is more than the sum of its parts: Families function by this composition law. Though families are made up of individual elements, the elements combine to create a whole which is greater than the sum of its parts. There are messages and rules that shape relationships: These messages, rules and agreements prescribe and limit a family member’s behavior over time. They tend to be repetitive and redundant and are rarely, if ever, explicit or written down. They may give power, induce guilt and control or limit behavior, and they tend to perpetuate and reproduce themselves. Most messages can be stated in just a few words: be responsible, look good, keep family business private, succeed, etc. Families have subsystems: These subsystems contain a number of small groups, usually made up of two or three people. The relationships between people in these subsystems are known as alliances or coalitions. Each subsystem has its own boundaries and unique characteristics, and membership in the subsystem can change over time. Families maintain a homeostasis or equilibrium: (Steiglass 1987). Families tend to make many small and large adjustments to maintain what family theorists refer to as homeostasis or an overall equilibrium. This is much like a mobile, which when acted upon, will adjust to rebalance itself. (Satir 1988) A family system, too, will seek to rebalance itself in order to maintain its equilibrium when the winds of the world act upon it. It’s important when ministering to the whole family (which we should be doing more of) that we understand each unique family system and it’s many subsystems that support it. It is especially important for us to assist the family in achieving homeostasis (balance) and it is upset. This is a real, practical way of showing, teaching, and reinforcing that the God of the universe cares deeply for them and their current condition. To be the incarnation of Jesus when a family’s world is falling apart is a great place to lead our ministries. Amen, amen,amen – What a difference could be made if the sleeping giant – The Church – was awakened. There is a lot of talk today about “Family Ministry” but all too much of it is handing mom and dad a piece of paper and that is it. There is no training, no discipleship of mom and dad. We must be more intentional in working with families. I love that you called the Church a sleeping giant because it definitely has that kind of power. Thanks for your feedback. We’ve seen the greatest amount of change occur when families are cared for as a whole. We recently saw a non-religious mother of a student, who went on a youth group mission trip, begin attending nightly prayer gathers led by other parents for the kids while they were gone. She found community and hope for some other difficult issues because these parents reached out to her. Now the whole family is connected to a faith community that is simply loving on them and discipling them. It’s a beautiful thing when that happens.